In Three-Part Harmony, Tanka Verses, Debbie Strange has taken her previously published tanka and strung them together like notes on a staff to create a new set of trios that together form a seamless symphony. 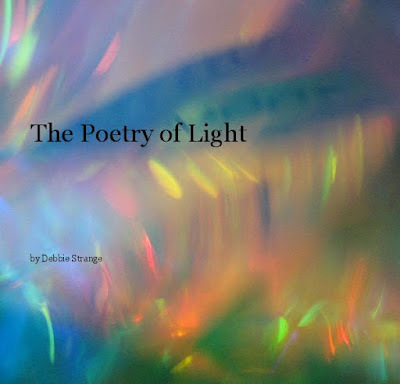 Each tanka poem stands on its own as a fully developed verse full of meaning and music, but joins together with the other members of its trio to create a whole that is greater than the sum of its parts. Each verse is like a musical instrument with its own unique voice, but blends in harmony with the sounds of its mates to form a richly sonorous tapestry of sound and image. Readers who loved her previous book of tanka, Warp and Weft, Tanka Threads, will be delighted by her newest collection. 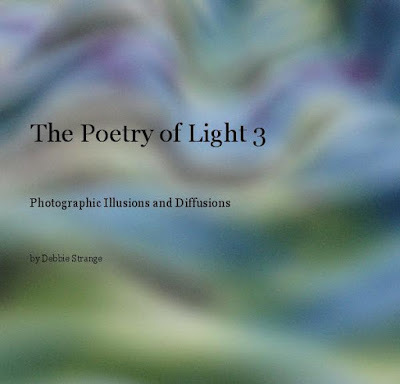 For those who are new to the poetry of Debbie Strange, Three-Part Harmony is an excellent introduction. 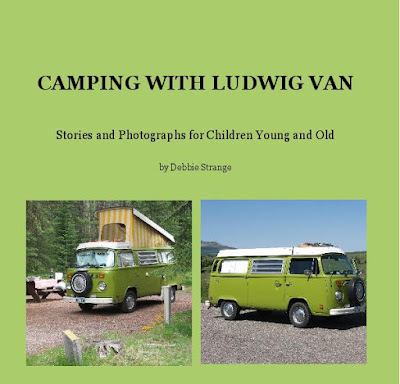 Available in print and ebook at Amazon.com and other online retailers. 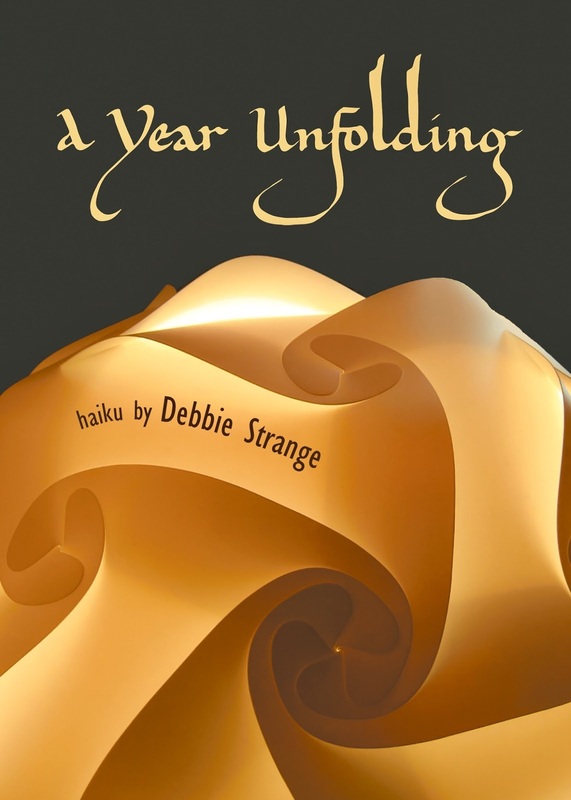 A Year Unfolding is a surefooted collection of 30 of Debbie Strange's haiku ranging across various insights and aiming to observe the poet's habitat and the changing seasons in Canada. The haiku are presented in calligraphy by JS Graustein. Strange is the perfect guide for showing us how to connect with our own surroundings. She possesses the skill for using simple language to describe concepts or phenomena with great taste and self-effacement, as well as with a highly original imagination. Her poems seem to come 'of a kind' though this does not mean they lack variety, but that their focus is on the personal. The deep, quietly moving exploration of place, mood and fragility are, at their finest, unique additions to haiku. It's in this understanding that Strange's poetry earths itself. I first encountered the poetry of Debbie Strange through her tanka in Atlas Poetica, A Journal of World Tanka, which I found entrancing. A Year Unfolding now allows me to explore how she expresses her love of nature through the haiku form. Debbie's vulnerability is completely accessible to us in this haiku and she is unafraid to share this with her reader. Here the author brings lyricism into what is a quiet and personal moment in time. You will read this book and you will want to discover more of Debbie's short form poetry. Debbie Strange's Warp and Weft is a feast for the senses. The collection is arranged into 72 triptychs (titled sets of three poems), each linked by a common thread or theme. 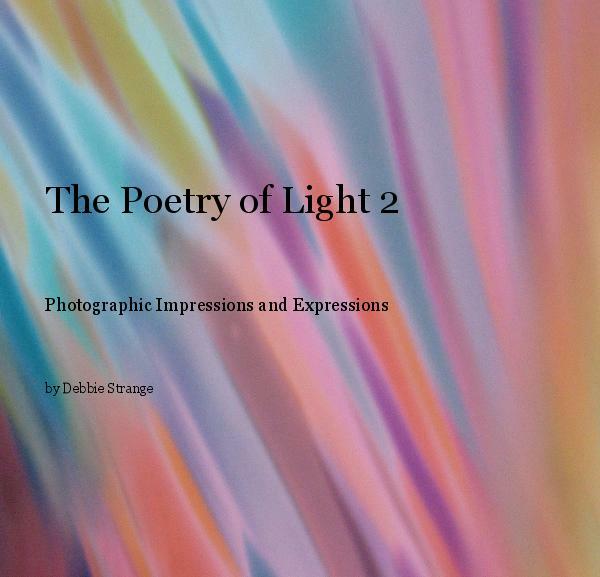 Although individual tanka have appeared in various publications, the arrangement in this collection enables a deeper appreciation of how the poems within each triptych resonate with each other to create layers of meaning. On almost every page I have tagged tanka that I would like to return to and explore in depth. Initially, I am attracted to the music and rhythm of the collection. The opening set, "the flute of tides," illustrates this beautifully. I am drawn into the ebb and flow of these words, their gentle rhythm and the way repeated sounds echo the swirling sounds of the sea. Rich with imagery and steeped in metaphor, the set becomes an allegory for life. The first tanka calls upon the cycles in nature, the relationship between moon and sea, to tell our story. This trickles into the deep, dark rock pools of the second tanka, a metaphor for impermanence. I am particularly struck by the image of starfish as "sea stars clinging to ungranted wishes." Could they mirror the lost potential or the unfulfilled dreams that accumulate throughout life? In the end, both who we are and who we might have been, are scattered with our ashes into the sea. The third tanka in the set centres on the things left behind. Like driftwood along the beach, although worn and windswept through the process of living, the story of each song becomes part of a greater symphony. In the set titled "the scent of you," there is sad and poignant beauty that lingers. In the first tanka, the stark image of a dried rose in an empty vase conjures up a powerful metaphor for a life nearing its end. The "untouched bed-tray" implies a sense of resignation or surrender and the "ghost no one visits" suggests the empty shell or lifeless body that remains. This aligns masterfully with the practicalities highlighted in the second tanka. Although initially amusing, this is a deeply intimate and moving tanka. The sad process of sorting through and disposing of a loved one's personal belongings after they have died is a potent reminder of impermanence and our own mortality. In death, material things, even those once considered precious, intimate or essential for survival, are no longer significant. It is not surprising that this tanka received an honourable mention in the 2013 World Tanka Competition. The third tanka in the set is punctuated by a sense of smell. The images of a bridal bouquet and funeral wreath evoke the lingering scent of rosemary, a symbol for remembrance. In "all the ways to shimmer," we discover the poet's deft eye for detail and her ability to capture in words the beauty of transient moments and everyday things. The tranquil image of the night sky reflected in the lake is animated by the wake of an otter's trail across the water. The simple addition of the words "and me" in the closing line add a new perspective, where the poet and the otter are one, and the poem becomes a metaphor for life. From here we glide to the top of a ferris wheel to focus on the intricate detail of spider webs, their orbs reflecting the structure they are attached to. We then shift to the microscopic shimmer of stardust on skin. Implicit in this set is the poet's delight in the natural world and her ability to discover so many ways to shine through darkness. The collection weaves back and forth through nature, life, illness, war, love, relationships and much more. Throughout this rich assortment of themes, the poet's exquisite expression and deft language skills shine through. This is not only a collection to read but also one to appreciate through all the senses—sights, sounds, tastes, textures and smells are skilfully woven into the fabric of words to create an evocative and enduring experience that lingers long after all the poems have been read. Warp and Weft is a collection I will return to again and again. 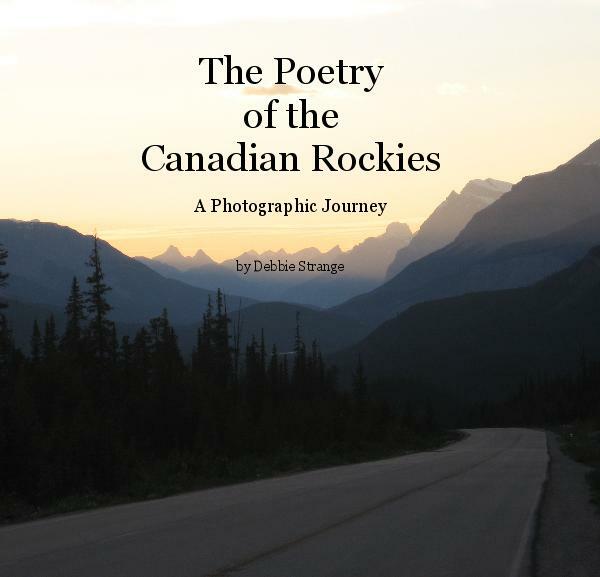 To this end, I will let Debbie Strange have the final word (from "the singing bowl"). 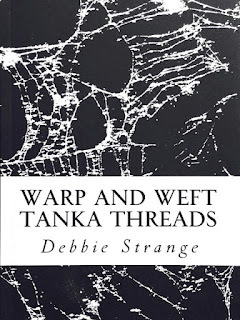 Debbie Strange tells us that Warp and Weft, Tanka Threads is her first collection of tanka and what a fine collection of poems it is. To me, this book is a gift of powerful and rich words that involve us, draw us into a maze of stories that show us how present and mindful the author is in her everyday life. What a riveting book of tanka this is indeed, much to my liking as I am sure it will be to all of those who have the privilege to read it. 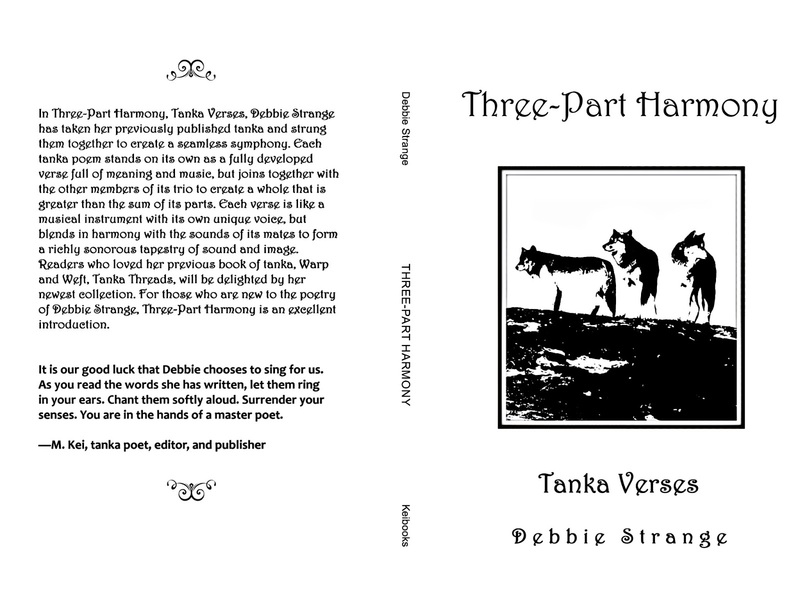 Warp and Weft, Tanka Threads is as exciting as it is ambitious, moving through a narrative of sea wolves & cloudscapes, wild forests & war zones. 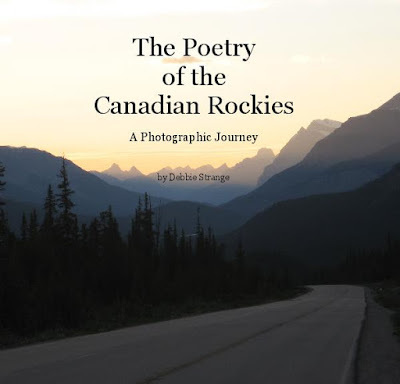 Speckled with rich imagery, honesty & sophistication Debbie Strange’s tanka story is not just a book, but also an adventure. Subscribe to Keibooks-Announce at Googlegroups to receive future announcements.